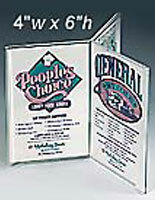 This Picture Frame Holds Up To 6 - 4" x 6" Cards! 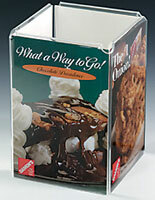 This Picture Frame Is Ready To Ship Straight From The Manufacturer! 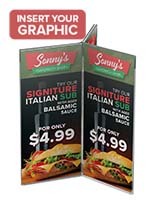 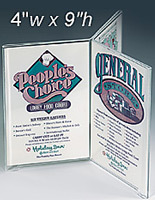 4" x 9" 5" x 7"
Picture Frame With 6 Panels Acrylic 4" x 6"
6" High Picture Frame - Outstanding for any location with limited display area. 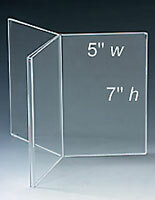 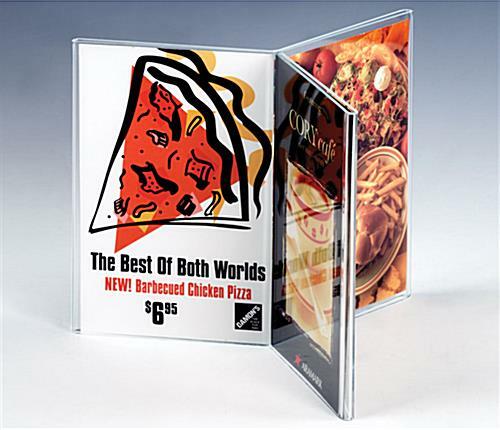 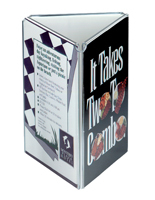 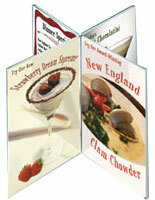 Clear acrylic menu holder for 4" by 6" cards. 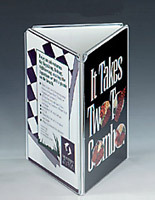 Easy to exchange, displays up to six varying cards.